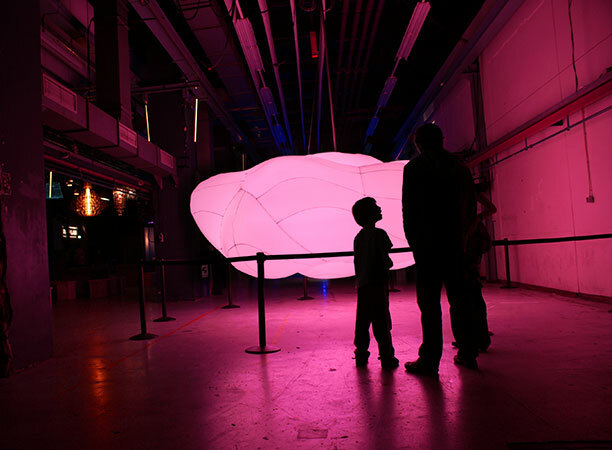 Breathing Cloud is scheduled in the third edition of the STRP Festival in which art and technology meet in several parts of the programme. 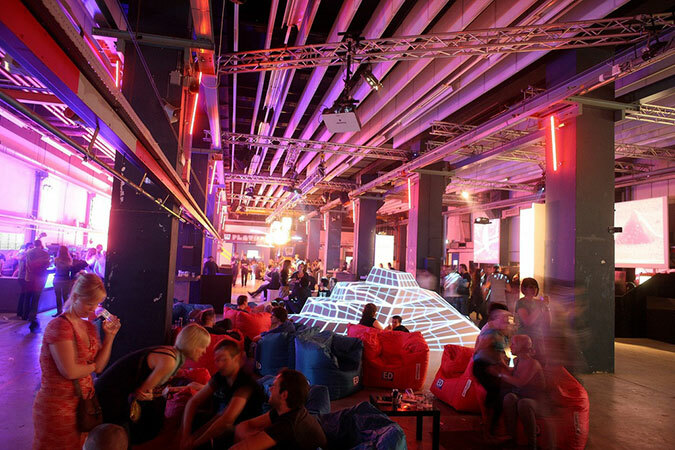 Music, performances, technology, live cinema, technological art, interactive media and film provide a spectacular experience. Dorette Sturm consciously exploits the relationship between the work and its physical surroundings. 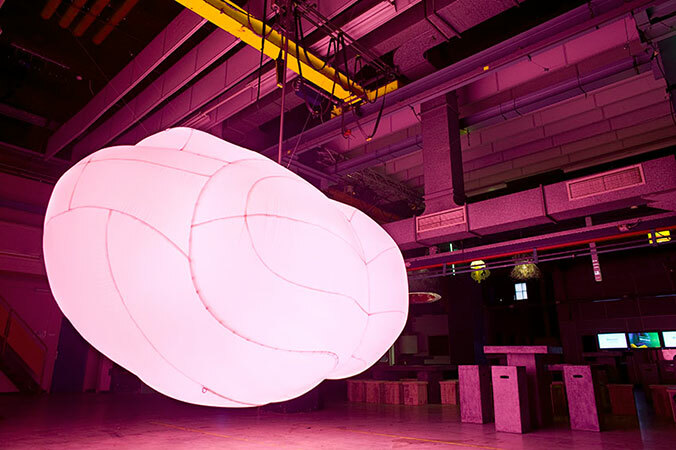 In the Light Café of STRP, under the lee of the industrial Clock Building, she presents the installation ‘Breathing Cloud’, consisting of a floating, amorphous shape filled with air, oscillating rhythmically. Intense breathing fills the atmosphere, tempting one to contemplate this gigantic pulsating creature. Is it asleep and can it be approached, or is it gathering its strength? This year, the STRP Festival will expand and give the STRP Expo the peace and space it deserves, beyond the familiar musical opening weekend. After the opening weekend new works will be added to the exhibition and a number of theme days, master classes and special art performances will be organized. The exhibition of technological art installations will include Infinite Cubed by the Brazilian duo Crescenti & Canton, as well as The Hexapod by Matt Denton, Sea by Kurt Hentchenschlager and Hemisphere by Ulf Lang Heinrich. While the STRP Festival has a strong international flavor, Dutch art will be represented as well. Work is shown by Daan van Roosegaarde, Freek Wieringa, Jérôme Siegelaar, Dorette Sturm and Jeroen Holthuys.